"Oh, we'll never need that. My wife and I have a great relationship," the husband explained. 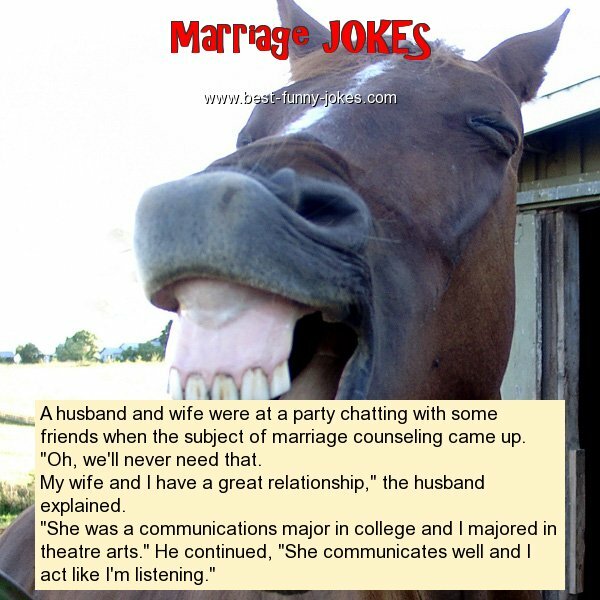 "She was a communications major in college and I majored in theatre arts." He continued, "She communicates well and I act like I'm listening."